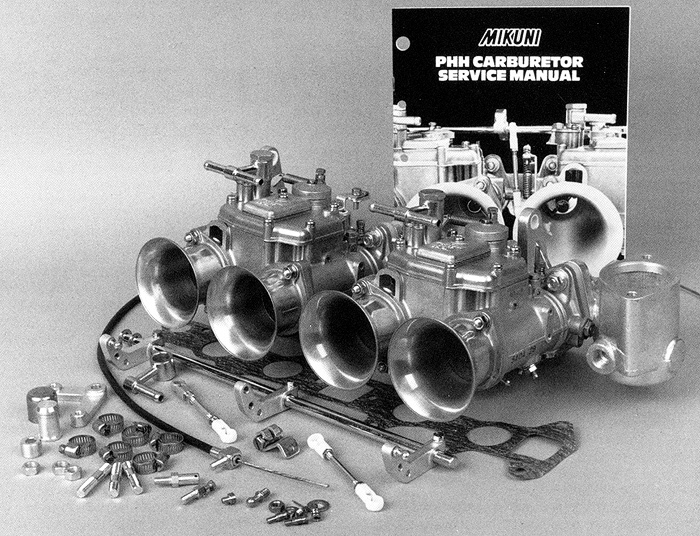 Mikuni PHH Automotive Racing Carburetors found their heritage in the original Solex side draft carburetors of the 1960s, but with Mikuni redesigning into the PHH Series many significant performance and reliability improvements. 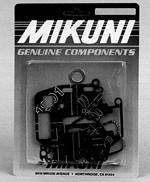 Up through the 1990s Mikuni PHH Carburetors were the carburetors of choice for many top race teams on their engines used in off-road, roadracing and rally competition. 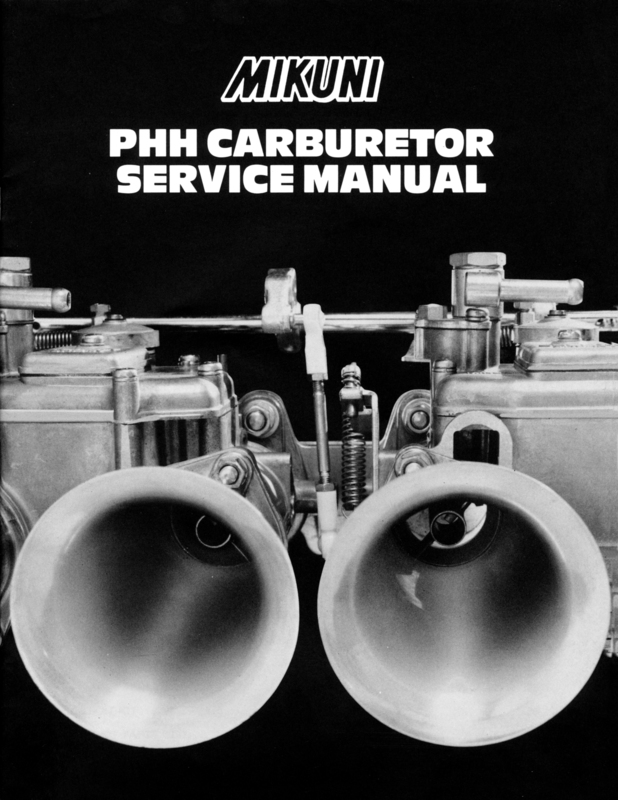 With the sport's move from carburetion to fuel-injection in the late 1990s, along with increasingly stringent EPA regulations, Mikuni of Japan discontinued production of the PHH carburetors once the original tooling wore out. 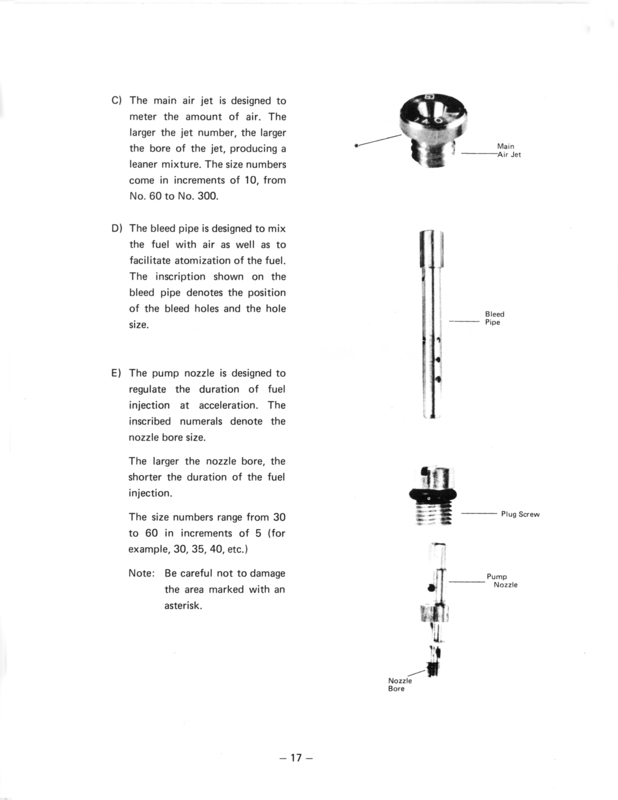 It was no longer cost effective to produce new tooling and molds. 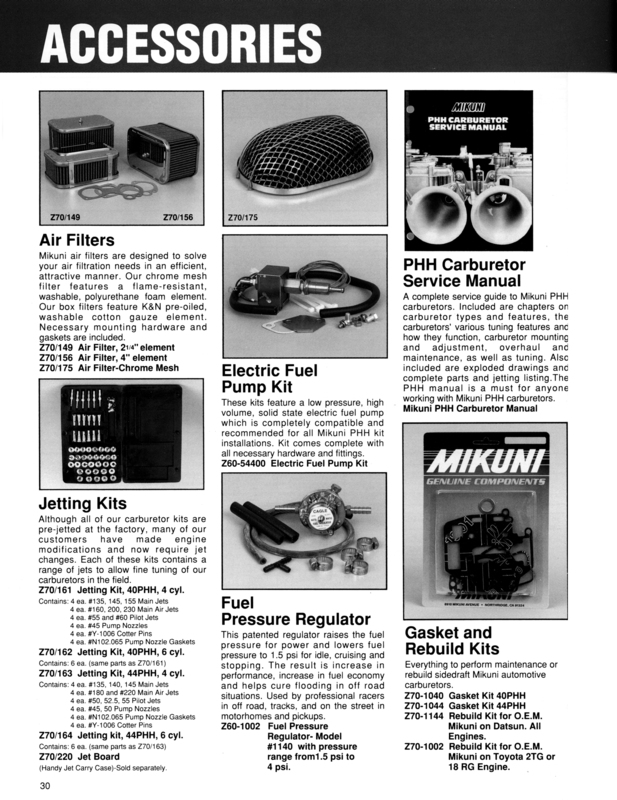 Complete Mikuni PHH Carburetors and Kits are no longer available. 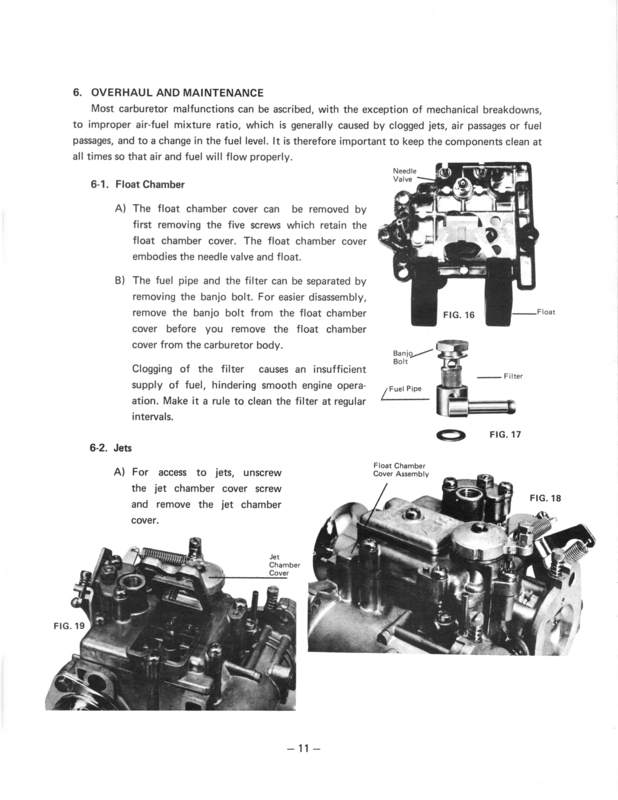 If you are in need of complete side draft carburetors for a restoration, the Mikuni PPH / Solex style carburetors are very similar to the popular Weber DCOE carburetors which remain in production and readily available. 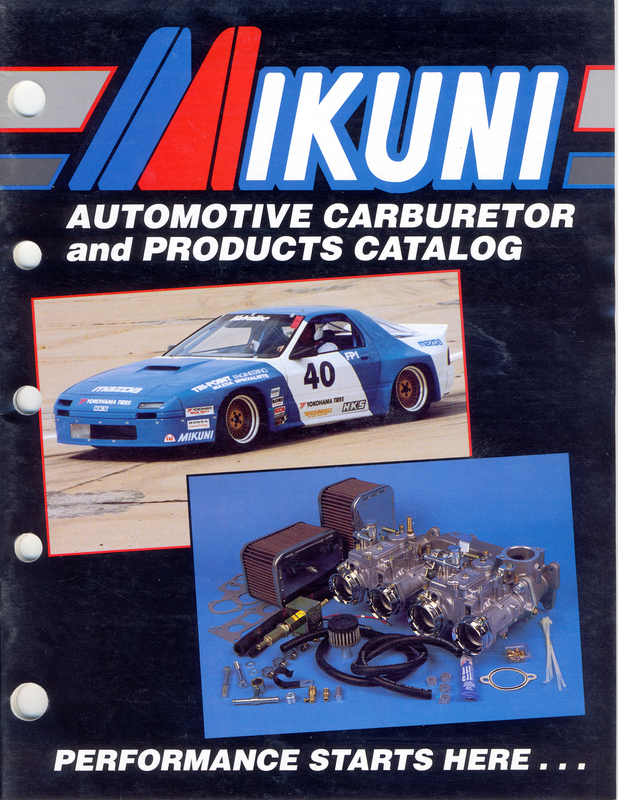 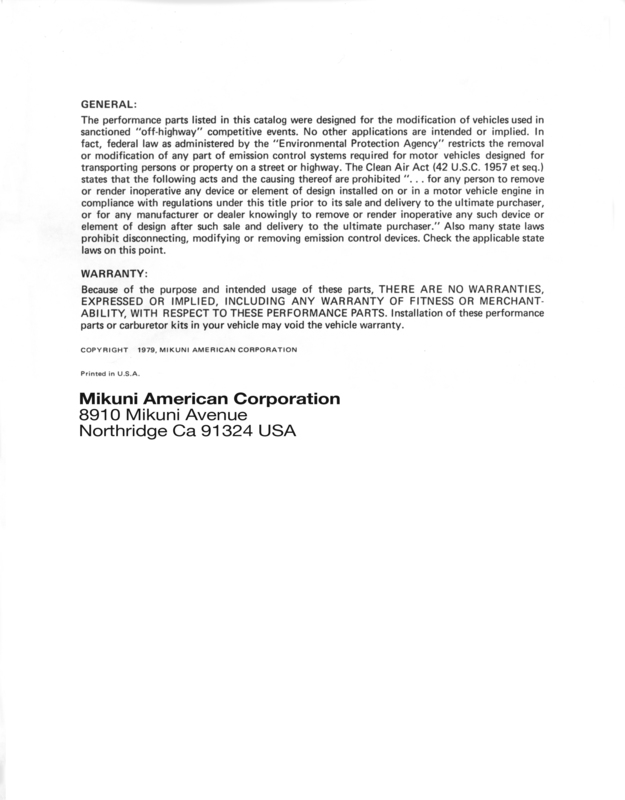 However, Mikuni American does maintain an inventory while they last of Replacement Parts, Rebuild Kits and Jet Tuning Components for the Mikuni PHH Carburetors. 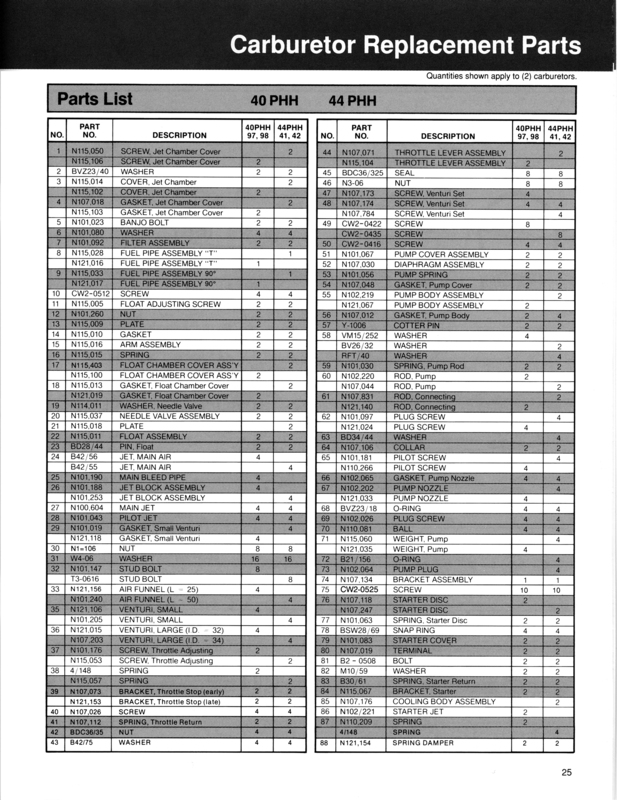 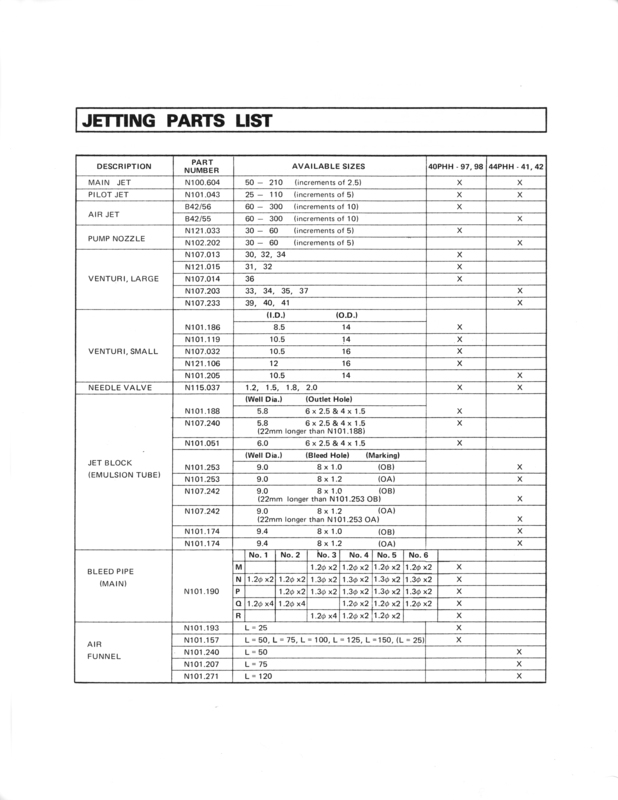 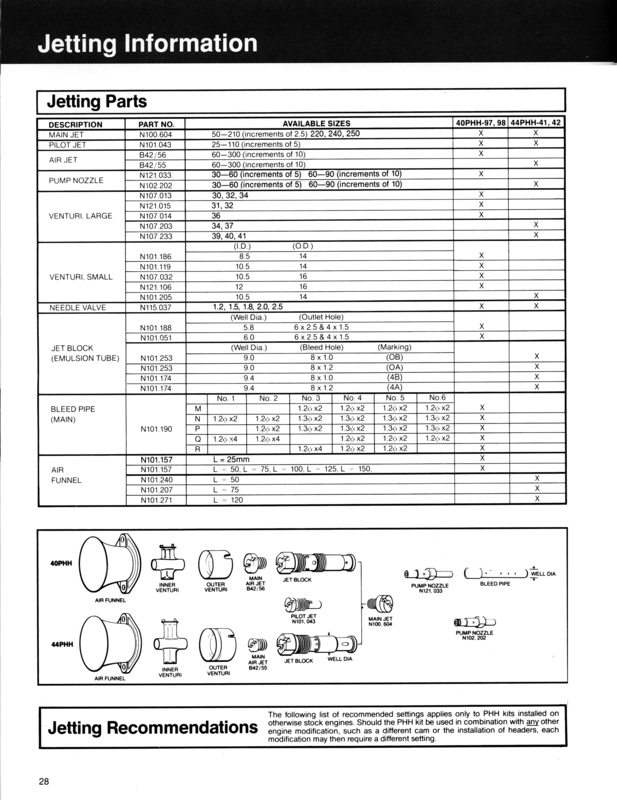 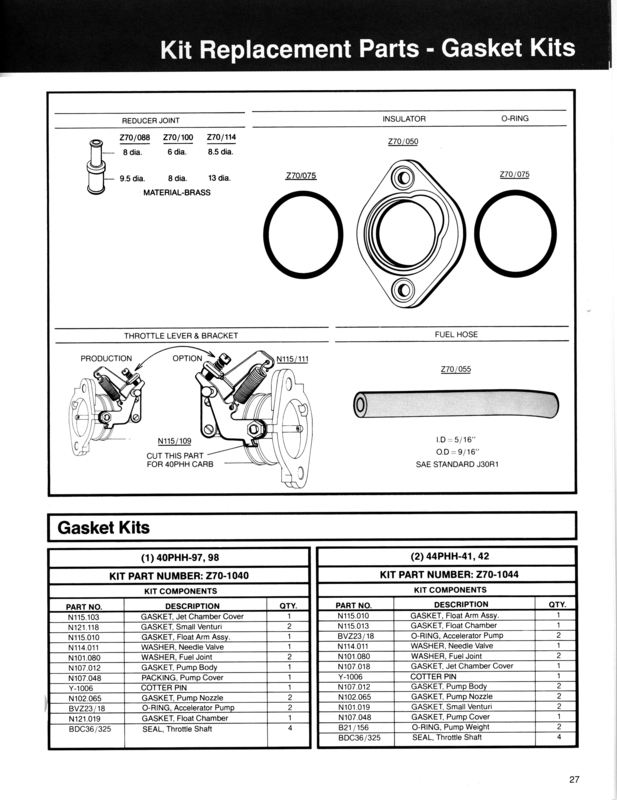 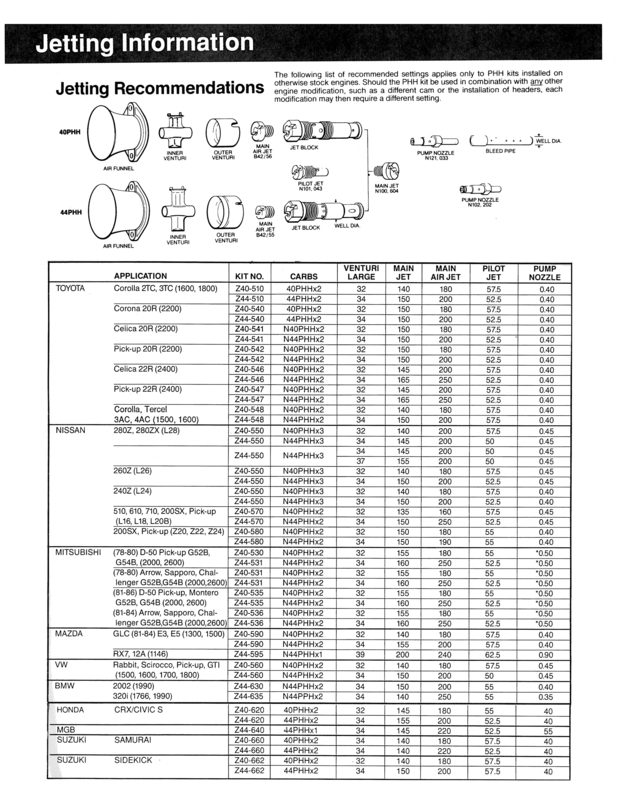 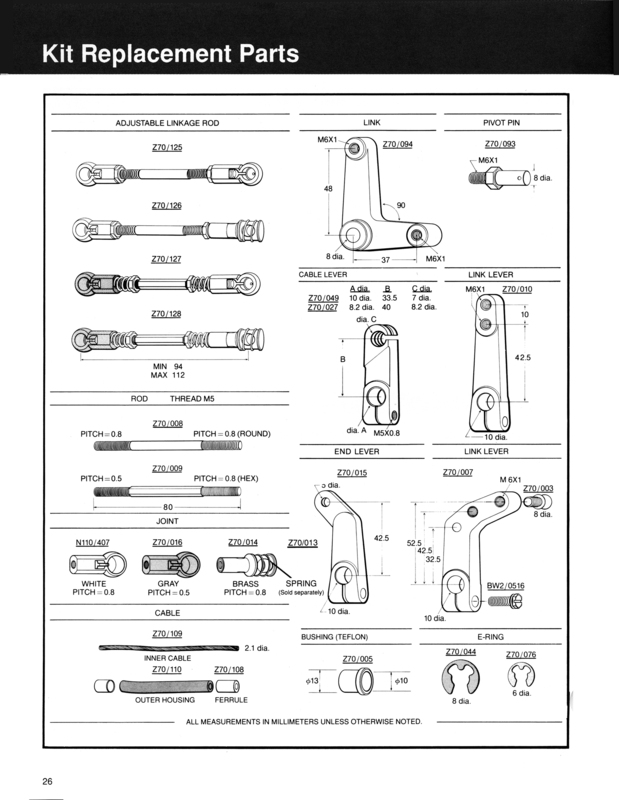 These Replacement Parts are shown in PHH Catalog Pages included here, and can be ordered through the Mikuni Distributors listed in the Distributor section. 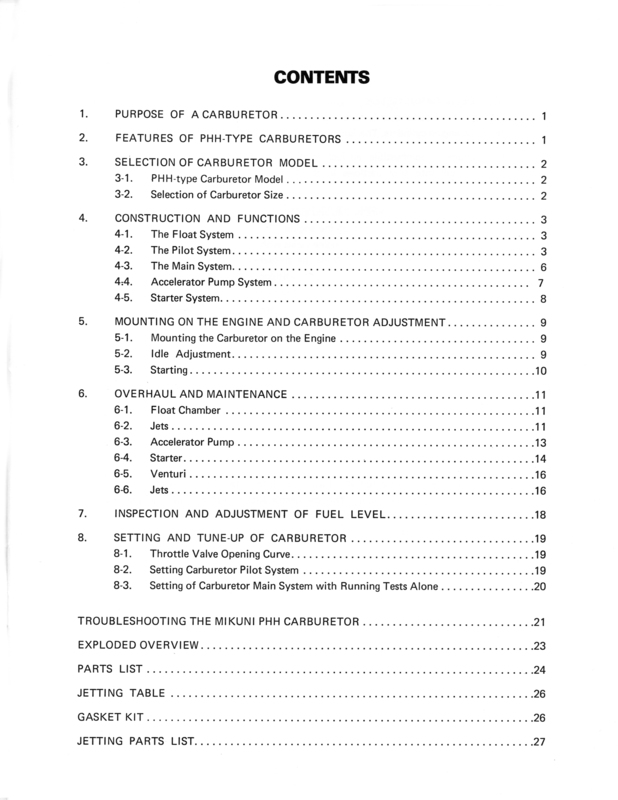 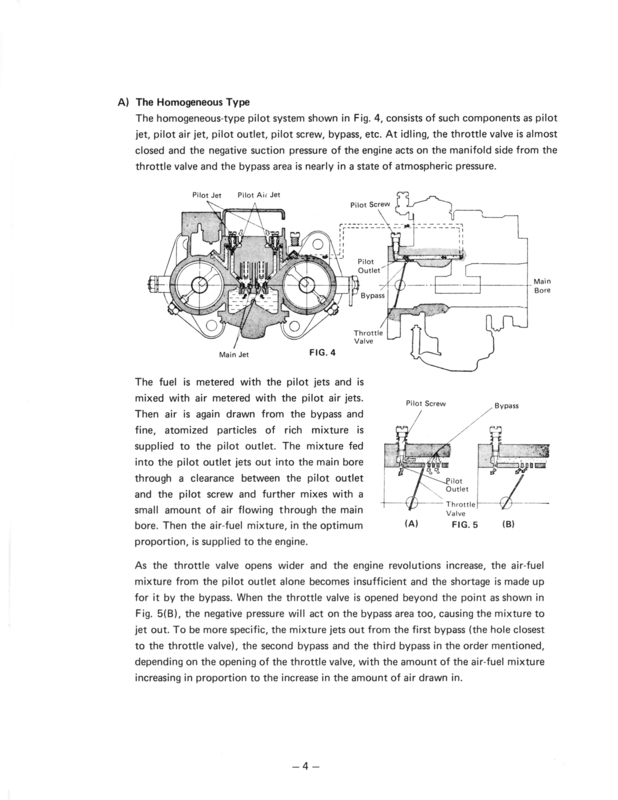 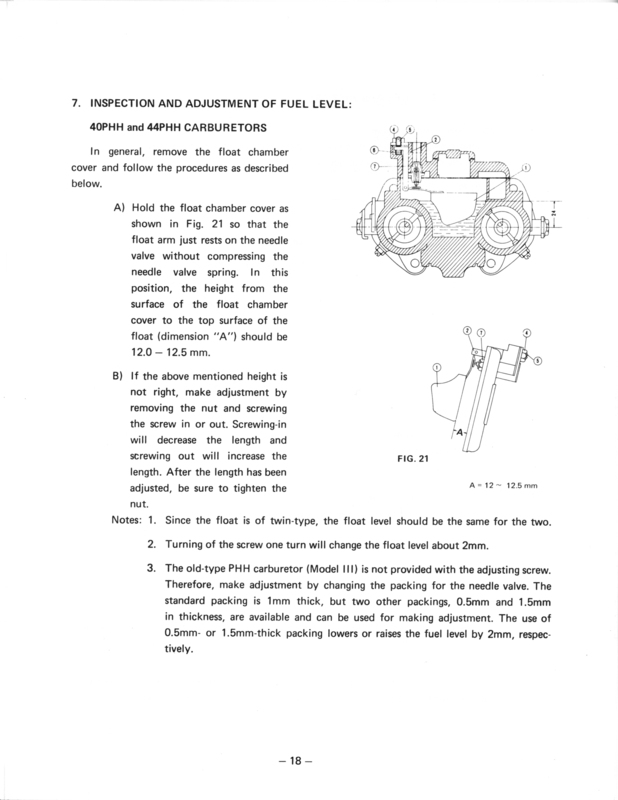 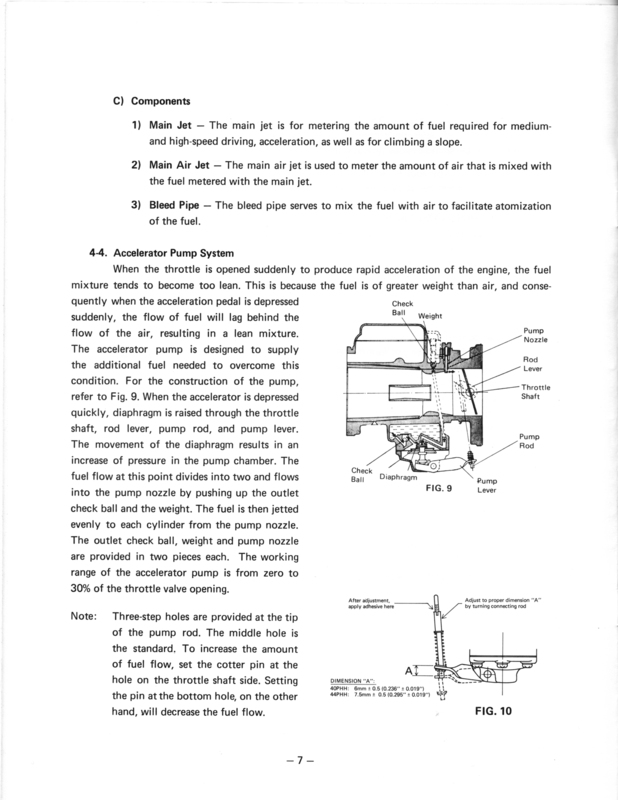 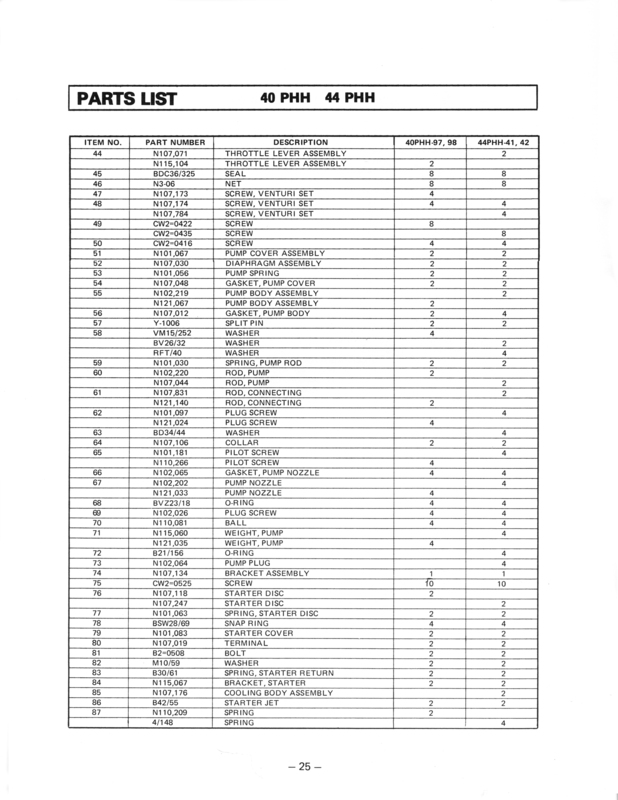 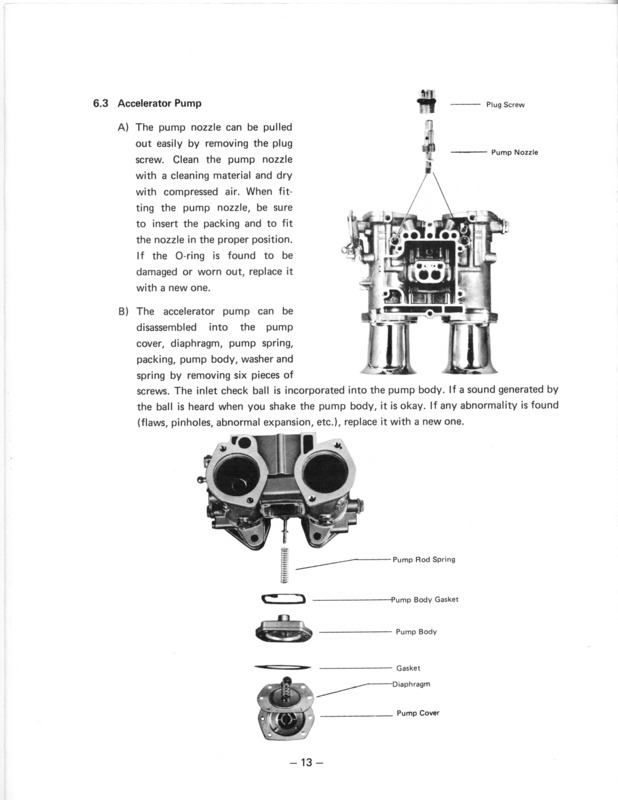 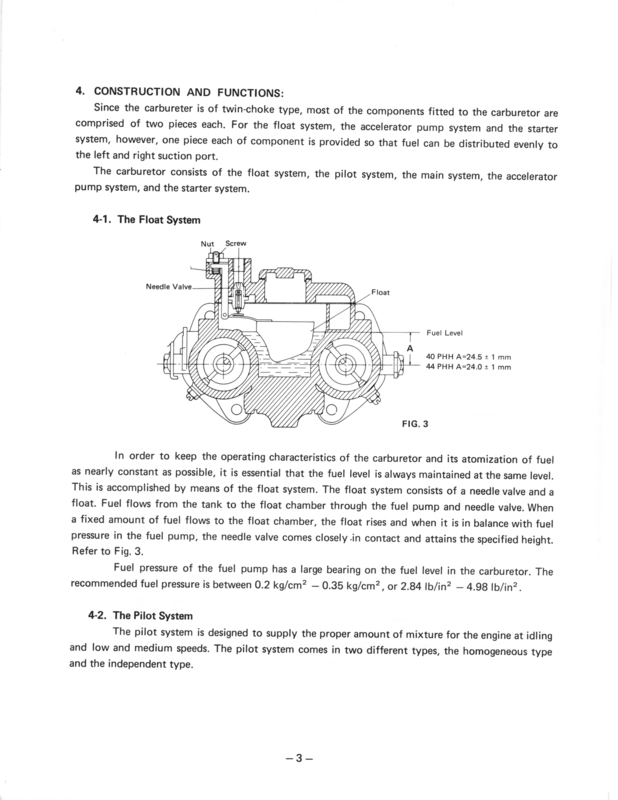 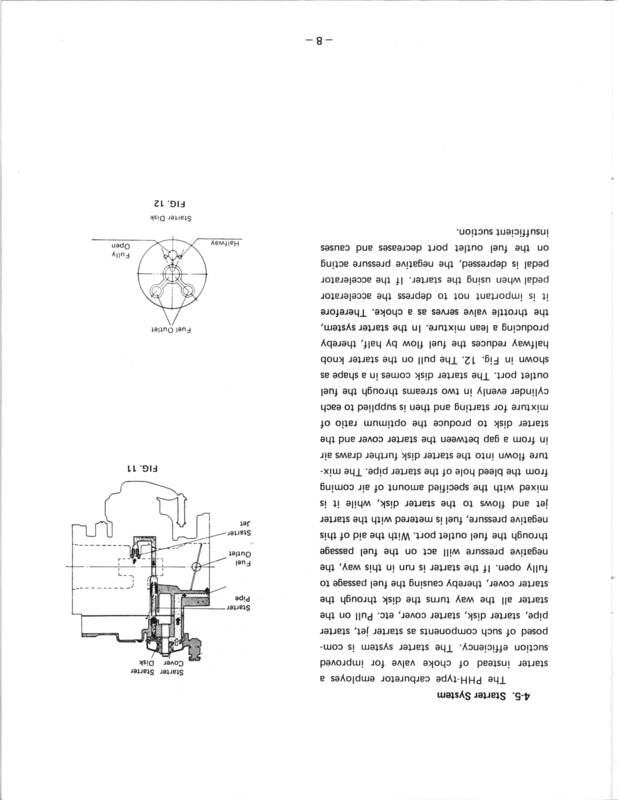 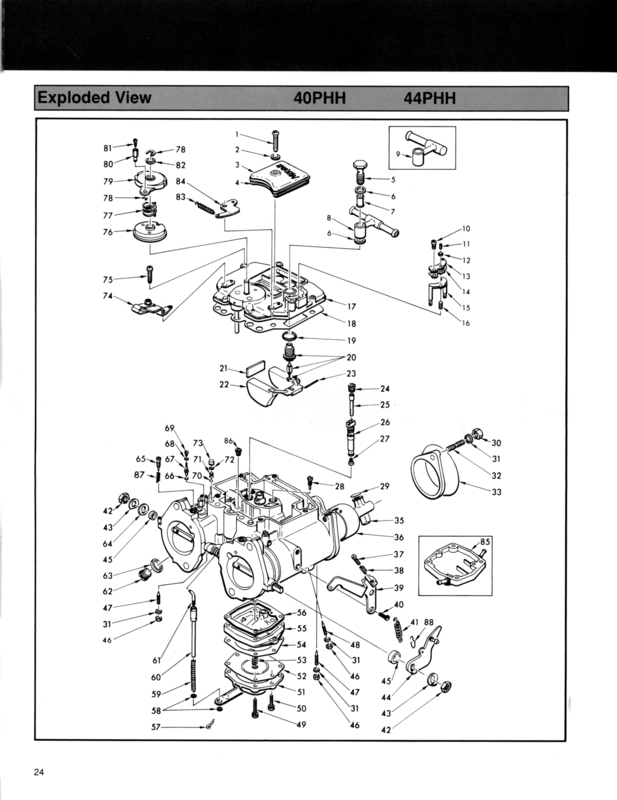 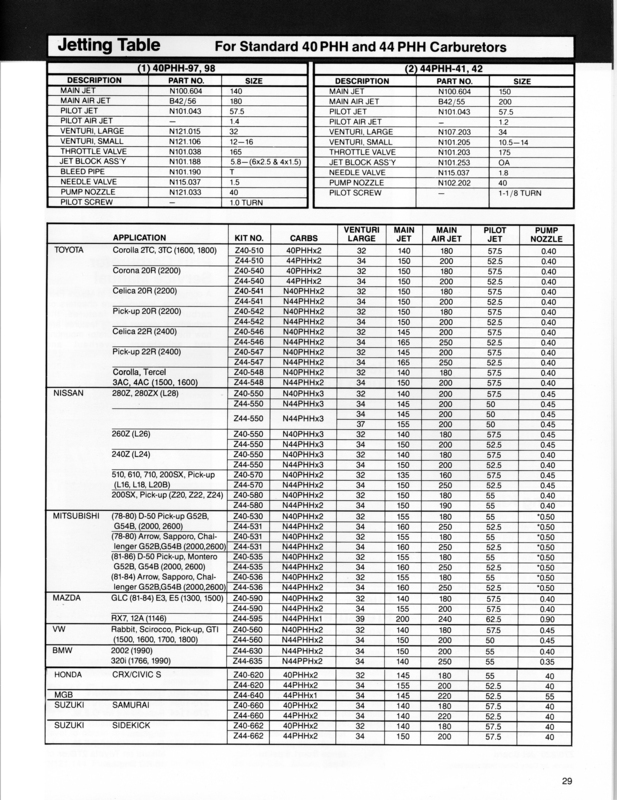 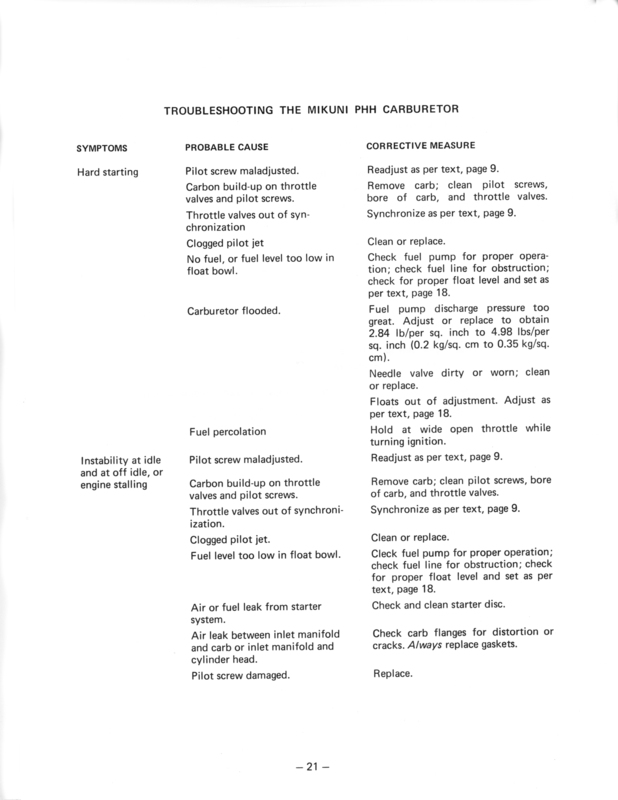 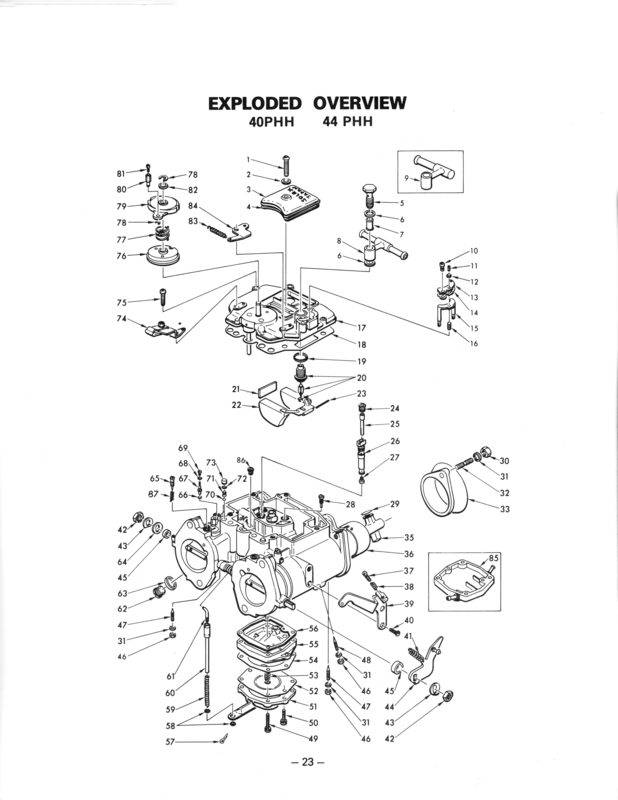 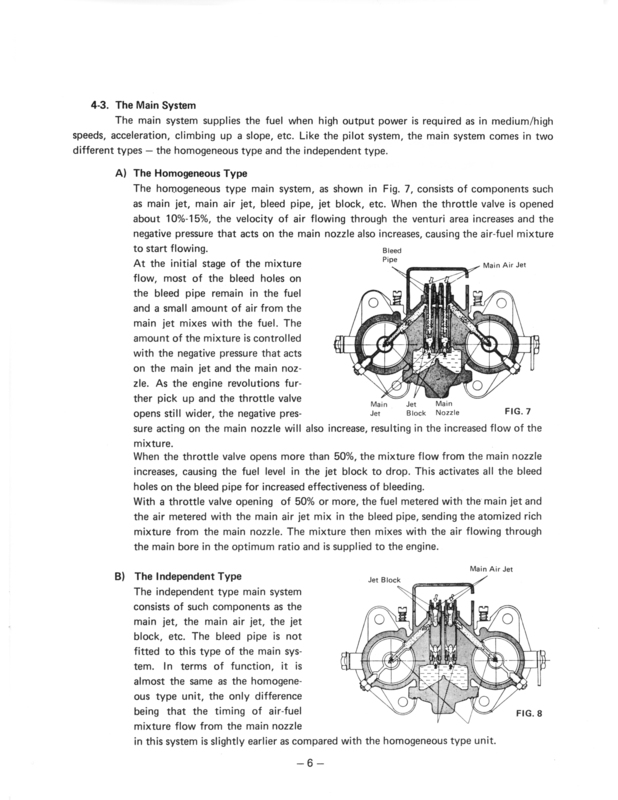 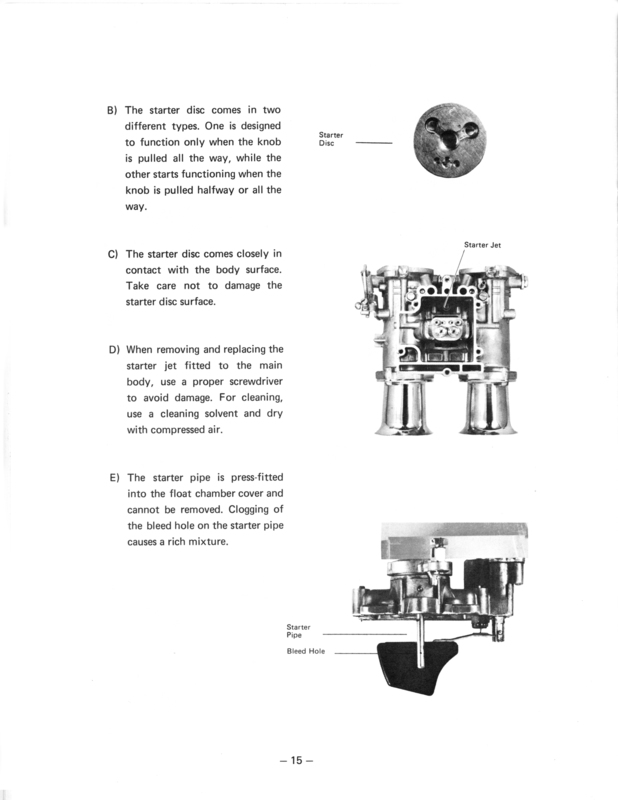 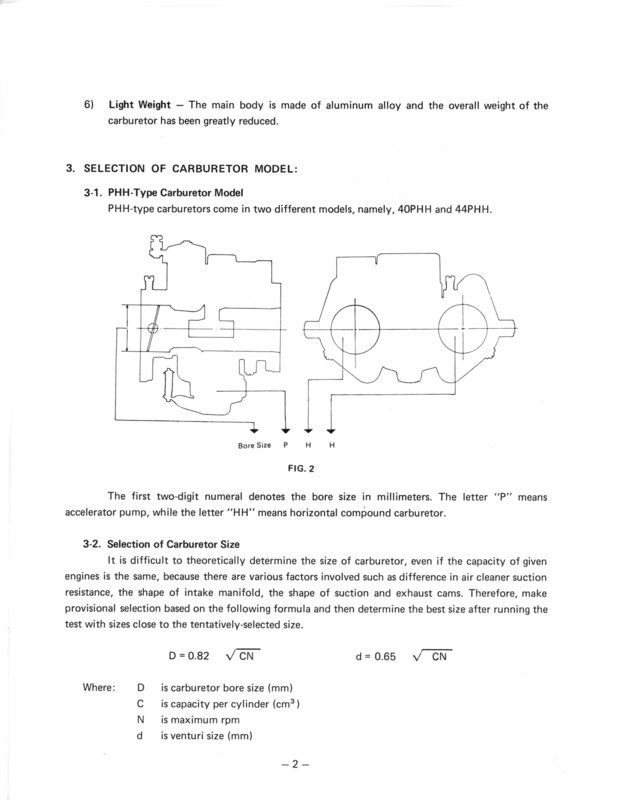 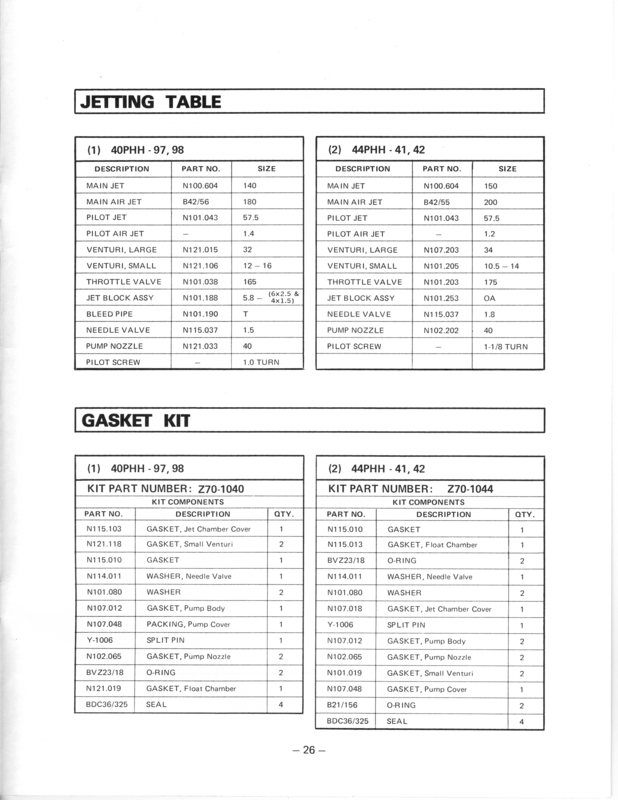 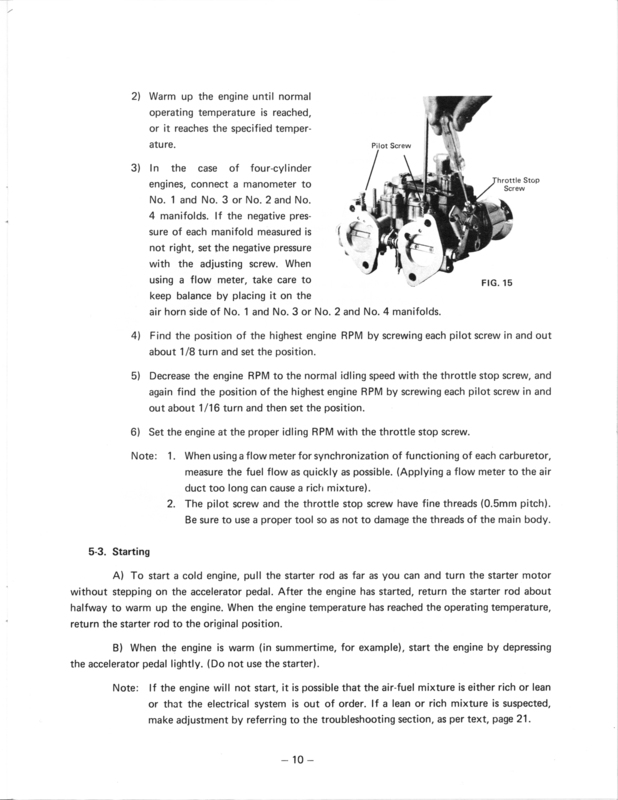 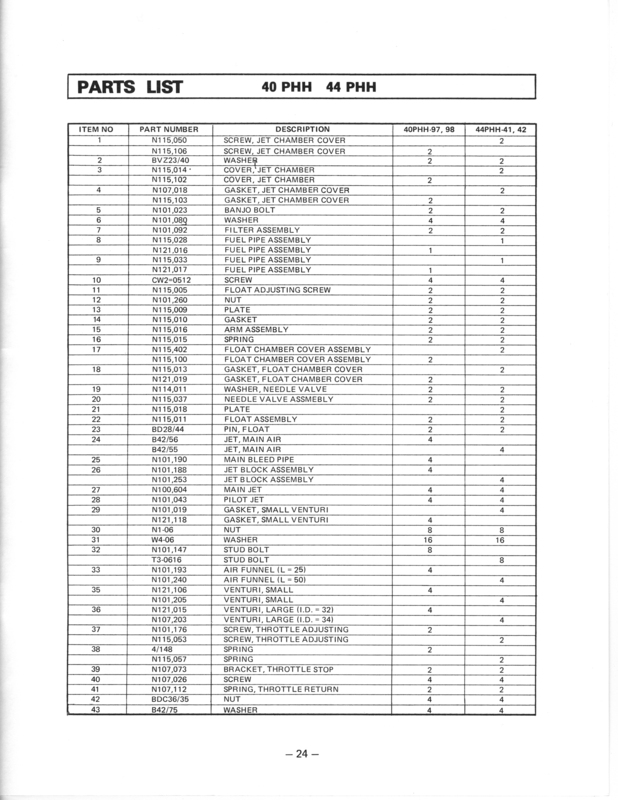 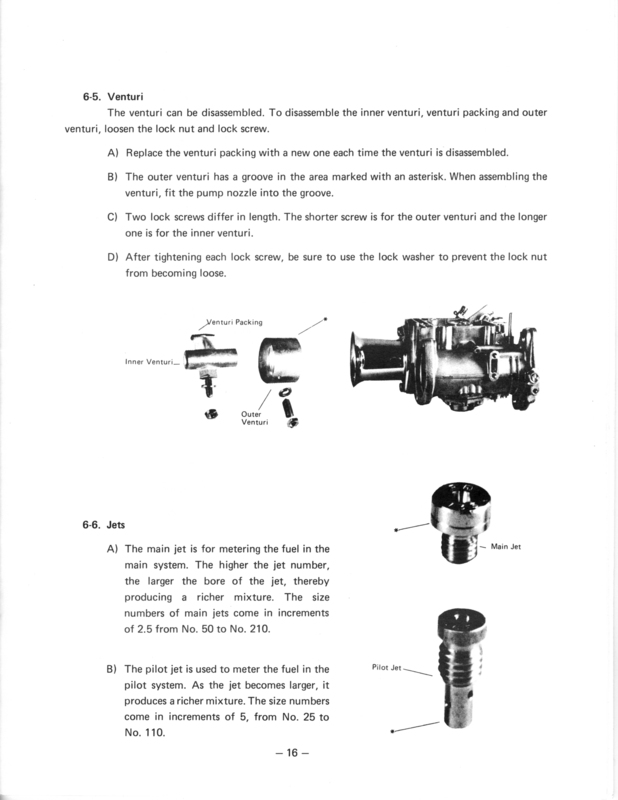 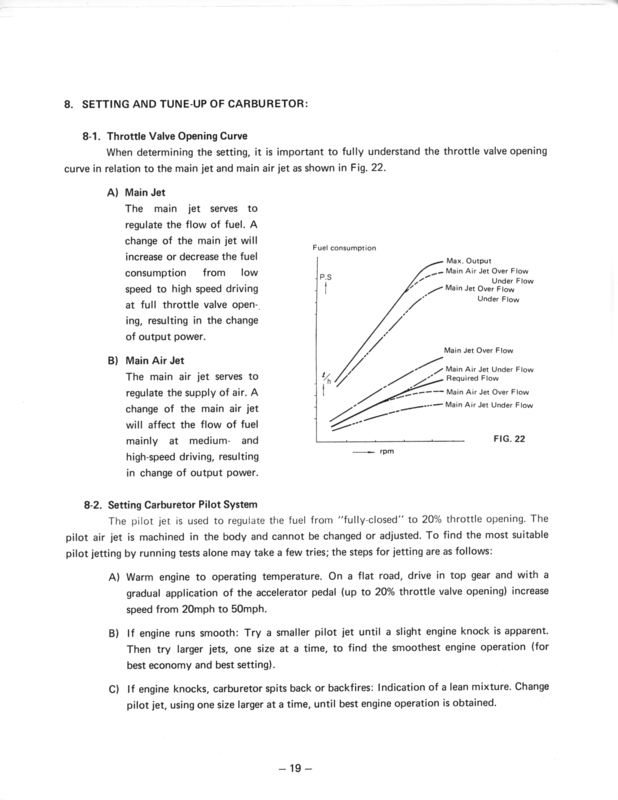 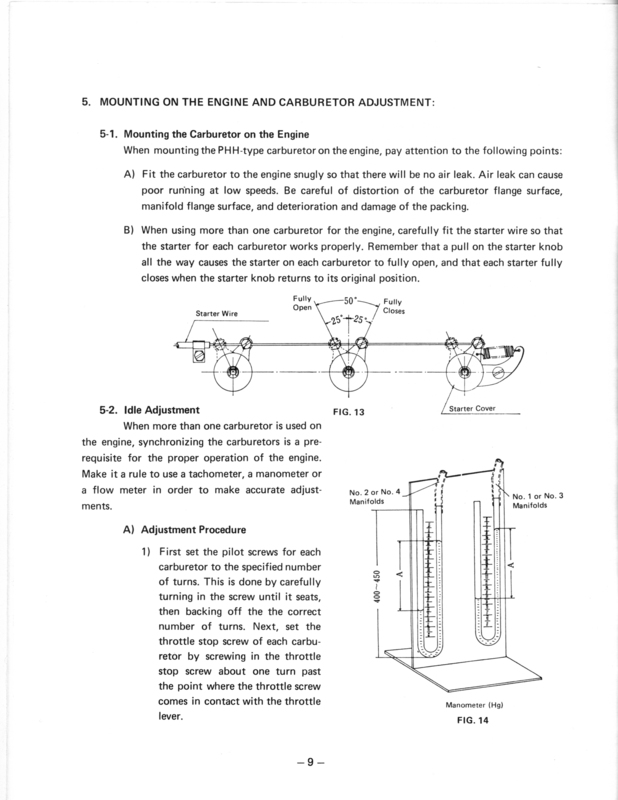 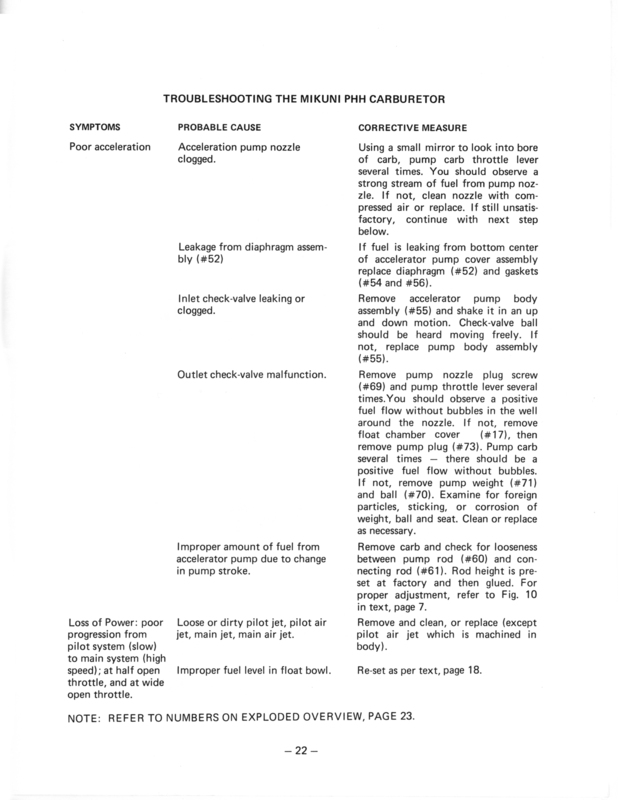 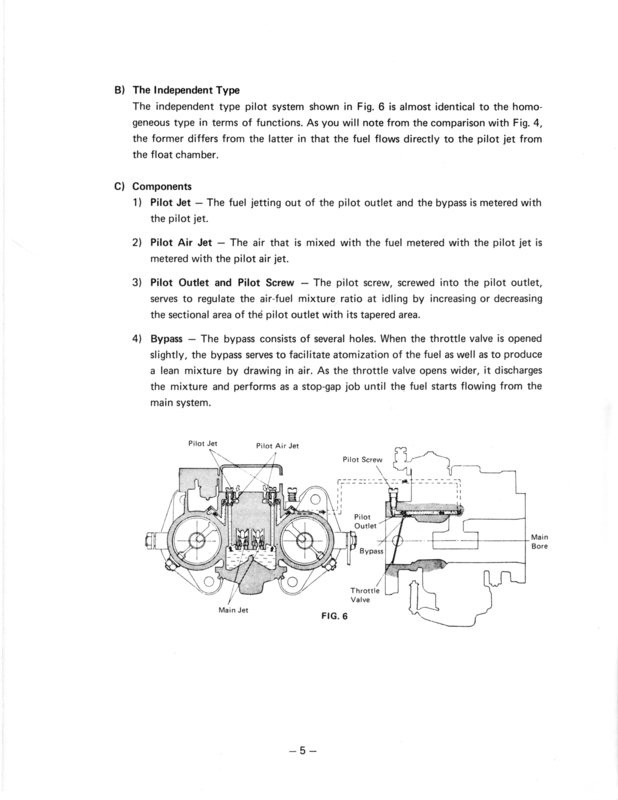 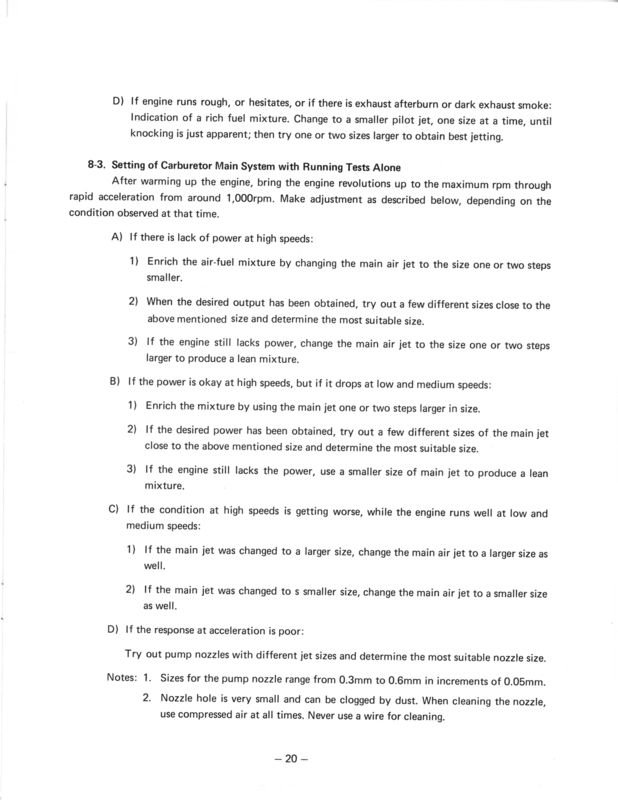 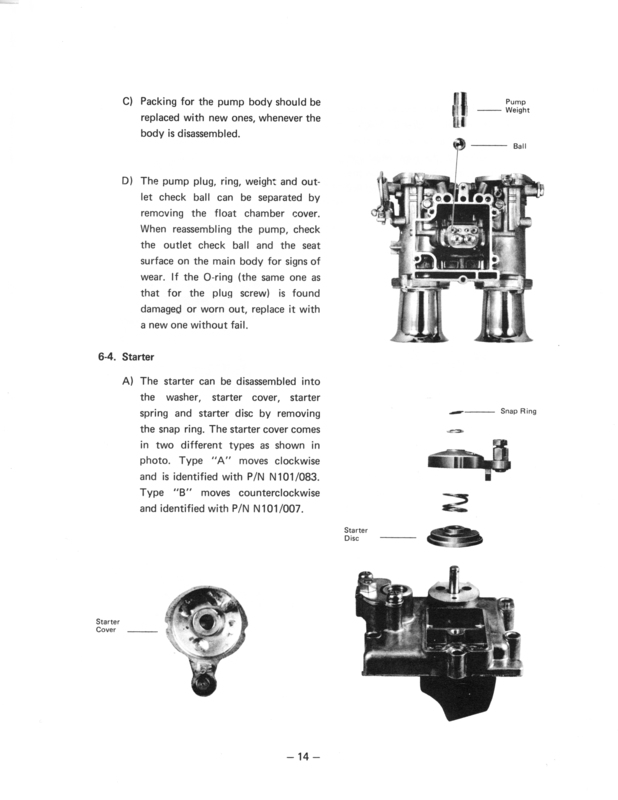 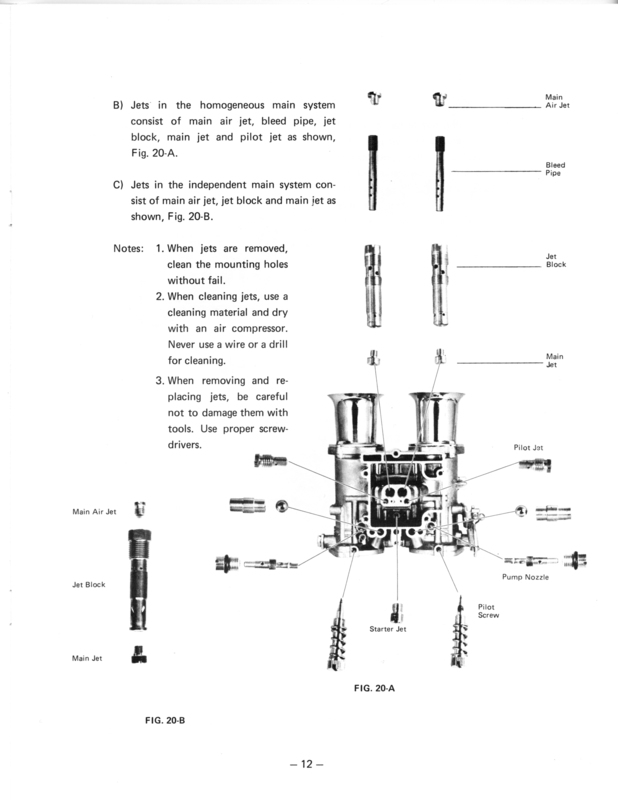 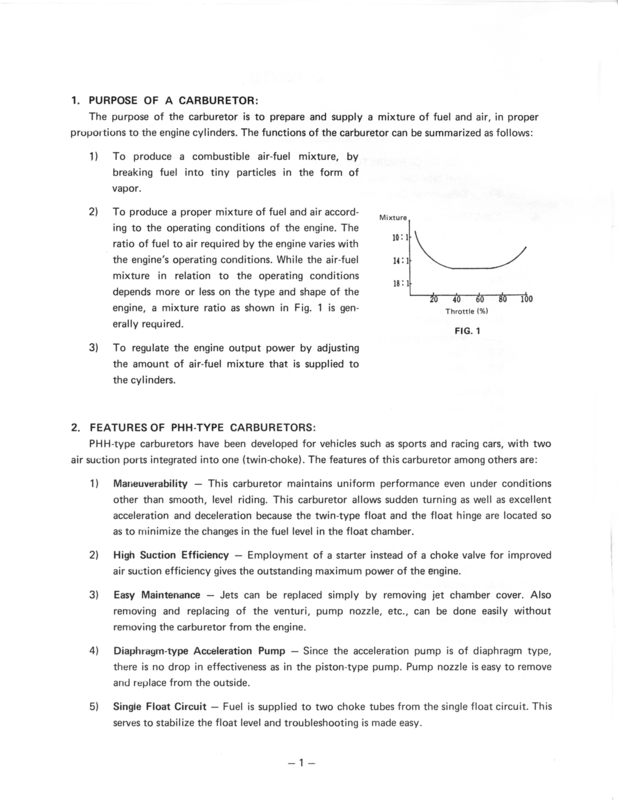 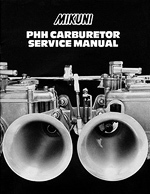 Also included here for reference is the PHH Carburetor Service and Tuning Manual. 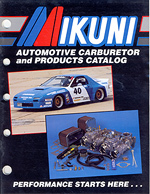 Everything to perform normal maintaince or rebuild of Mikuni PHH sidedraft automotive carburetors.